Lori Gruen, the William Griffin Professor of Philosophy, is the recipient of a Laurance S. Rockefeller Distinguished Teaching Visiting Professorship at Princeton. Next spring, Gruen will co-teach a course titled the Environmental Nexus at Princeton’s Center for Environmental Research, Education and Outreach. The undergraduate environmental studies course will examine a collection of global environmental crises and address multiple dimensions of these issues, including scientific, political, social and ethical aspects. At Princeton, she will serve as the Laurance S. Rockefeller Visiting Professor for Distinguished Teaching in the Center for Human Values. 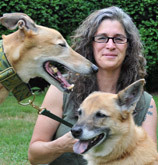 At Wesleyan, Gruen also is professor of science in society; professor of feminist, gender, and sexuality studies; and coordinator of Wesleyan Animal Studies. 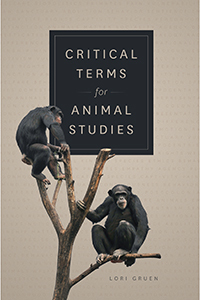 Gruen is a leading scholar in animal studies and feminist philosophy. 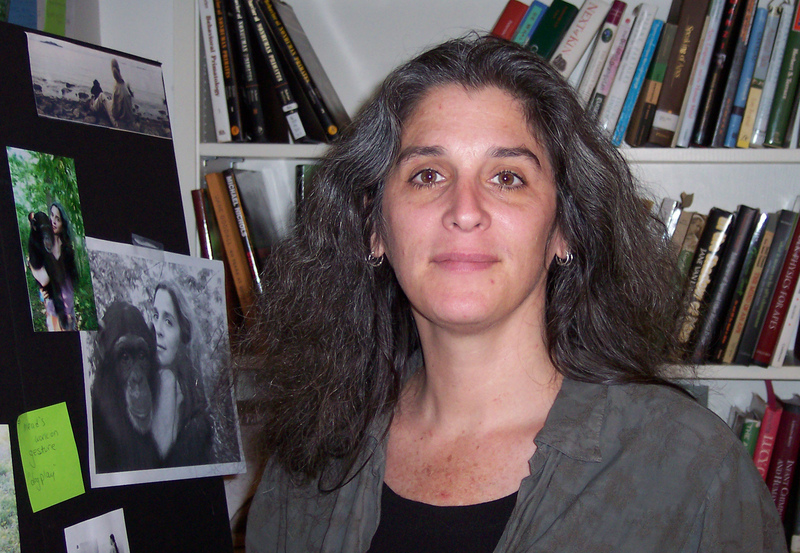 She is the author and editor of 10 books, including Ethics and Animals: An Introduction (Cambridge, 2011), Reflecting on Nature: Readings in Environmental Philosophy and Ethics (Oxford, 2012), Ethics of Captivity (Oxford, 2014), Entangled Empathy (Lantern, 2015) and the forthcoming Critical Terms for Animal Studies (UChicago Press, 2018). Her work in practical ethics focuses on issues that impact those often overlooked in traditional ethical investigations, e.g. women, people of color, non-human animals. She is a fellow of the Hastings Center for Bioethics, a faculty fellow at Tufts’ Cummings School of Veterinary Medicine’s Center for Animals and Public Policy, and was the first chair of the Faculty Advisory Committee of the Center for Prison Education at Wesleyan. Writing in The Washington Post, Lori Gruen, the William Griffin Professor of Philosophy, argues that fingers are being pointed in the wrong direction after Harambe, an endangered lowland gorilla, was shot and killed at the Cincinnati Zoo after a 4-year-old child entered his enclosure. “The real culprits are zoos,” she writes. Many in the animal protection community contend that the gorilla didn’t pose a real threat to the boy, and are questioning if zoo staff did enough to try to separate Harambe from the child. Others are blaming the boy’s mother for not properly supervising him. Though killing is less common at U.S. zoos compared with the regular practice of “culling” at European ones, zoos are nonetheless places that cause death. Harambe’s life was cut short intentionally and directly, but for many zoo animals, simply being in captivity shortens their lives. We know this is true for whales in SeaWorld. Elephants, too, die prematurely in zoos. So why have zoos? One of the reasons often given is that zoos protect and conserve endangered wild animals. A few zoos do fund conservation efforts — the Cincinnati Zoo is one of them. These efforts are laudable, and I would hope that in light of the tragedy the Cincinnati Zoo will spend more to help protect lowland gorillas. Their habitat, as is true for so many wild animals, is under threat. But captive animals, especially large mammals born in captivity, like Harambe, cannot be “returned to the wild.” These sensitive, smart, long-lived gorillas are destined to remain confined, never to experience the freedom of the wild. They are, at best, symbols meant to represent their wild counterparts. But these symbols are distortions, created in an effort to amuse zoo-goers. Zoos warp our understanding of these wonderful beings and perpetuate the notion that they are here for our purposes. If we really need someone to blame, maybe we should look at our society, which supports these types of institutions of captivity. If zoos were more like sanctuaries, places where captive animals can live out their lives free from screaming crowds and dangers not of their own making, no one would have had to decide to kill Harambe. Sanctuaries are places where the well-being of animals is of primary concern and animals are treated with respect. Four-year-olds and their families could see gorillas in Imax theaters, where their curiosity could be safely satisfied and gorillas could live with dignity, in peace. Gruen also is chair of philosophy, professor of environmental studies, professor of science in society, professor of feminist, gender and sexuality studies. She also commented in The Christian Science Monitor’s coverage of the gorilla’s killing, and wrote this piece for the Center for Humans & Nature. The Ethics of Captivity course, taught by Lori Gruen, the William Griffin Professor of Philosophy (pictured at far right), recently created a website to teach the public about a variety of ethical and political issues that captivity raises for humans and other animals. What started out as a class assignment has evolved into a public website. During the fall semester, students enrolled in the Philosophy 268 course, The Ethics of Captivity, explored the various forms and conditions of captivity, including prisons, zoos, laboratories and sanctuaries. 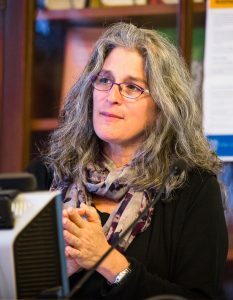 As one of the class assignments, Lori Gruen, the William Griffin Professor of Philosophy and chair of the Philosophy Department, asked her students to work in small groups on a blog post, highlighting a variety of ethical and political issues that captivity raises for humans and other animals. Feminist, Gender and Sexuality Studies will host its annual symposium on Nov. 6. This year’s topic is “Mass Incarceration: Feminists Respond.” The event is free and open to the public. “As Angela Davis has written, state punishment is not marginal, but central, to feminist concerns,” said Victoria Pitts-Taylor, professor and chair of Feminist, Gender and Sexuality Studies, of the program’s theme. “To begin with, the number of incarcerated women has been growing rapidly, with over one million women in the U.S. in jail, prison, on probation or on parole, and with black women the fastest growing group of those imprisoned. But beyond this, the practices of intensive policing and mass incarceration of people of all genders are devastating whole communities, especially those of poor people of color. Stephen Angle, professor of philosophy and East Asian studies, is receiving the Mansfield Freeman Professorship in East Asian Studies, established in 1986. Lisa Cohen, associate professor of English, is receiving the Douglas J. and Midge Bowen Bennet Chair. 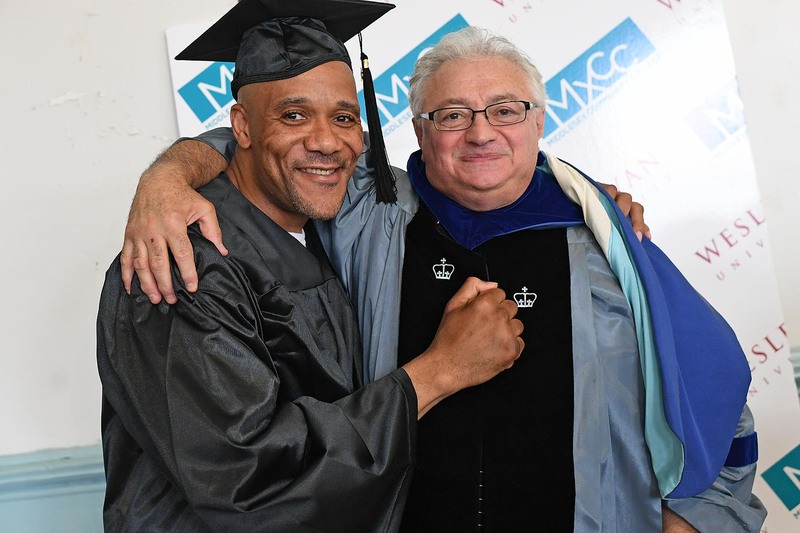 The Bennet Chair, endowed in 2007, is awarded for a five-year term to a newly tenured associate professor exhibiting exceptional achievement and evidence of future promise. Andrew Curran, professor of French and outgoing Dean of Arts and Humanities, is receiving the William Armstrong Professorship of the Humanities, established in 1921. 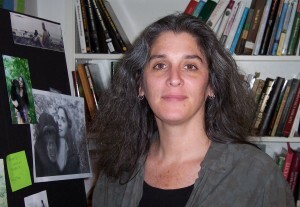 Lori Gruen, professor of philosophy, environmental studies, and feminist, gender and sexuality studies, is receiving the William Griffin Professorship of Philosophy, established in 1885. Ishita Mukerji, professor of molecular biology and biochemistry and outgoing Dean of Natural Sciences and Mathematics and director of technology initiatives, is receiving the Fisk Professorship of Natural Science, established in 1839. Lori Gruen speaks about the ethics of using chimps in research in a Canadian show The Nature of Things. On March 12, the Canadian Broadcasting Corporation (CBC) aired an episode of The Nature of Things called “Safe Haven for Chimps” in which host David Suzuki and his crew follow the efforts of the staff at Chimp Haven in Louisiana. The compound is a place where chimps, who have been used in biomedical research at the National Institutes of Health (NIH), are retired and allowed to live our their lives in a sanctuary. Lori Gruen, chair and professor of philosophy, professor of environmental studies, professor of feminist gender and sexuality studies, first appears about 10 minutes into the episode. 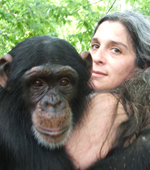 She speaks about her website, www.last1000chimps.com, which tracks the remaining chimps being used in American biomedical and behavioral research. “The idea of the ‘LAST 1000’ was a way of taking abstract notion of ‘there are chimpanzees being used in laboratories’ and maybe we should end chimpanzee research and retire them,” asserts Gruen. Near the end of the episode, Gruen summarizes her thoughts. Gruen explores how this public change in attitudes came to be. She credits, in part, “the tireless animal activists who appear regularly, rain or shine, to protest when the circus comes to town.” These activists highlight the cruel and unhealthy living conditions imposed upon the elephants, such as having their legs chained, lacking adequate exercise, and withstanding painful training techniques including electric shock, whipping and physical force. Part of the mood shift, then, is a result of consumers’ unwillingness to support the cruelty involved in using elephants for entertainment purposes. Ending its elephant acts now rather than waiting three years would respect the mood of its consumers and respect the elephants. There is also a growing aversion to the indignity of displaying these magnificent, endangered creatures in circus spectacles. Gruen also recently spoke to The Christian Science Monitor about elephants in the circus. She is also professor of feminist, gender and sexuality studies, and professor of environmental studies. 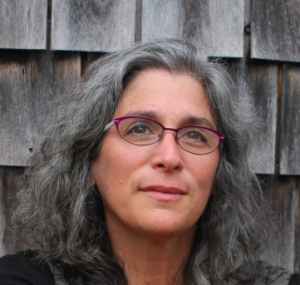 Lori Gruen, professor and chair of philosophy, professor of environmental studies, and professor of feminist, gender and sexuality studies, is the author of a new book, Entangled Empathy: An Alternative Ethic for Our Relationships with Animals, published by Lantern Books on Feb. 15. In Entangled Empathy, Gruen argues that rather than focusing on animal rights, we ought to work to make our relationships with animals right by empathetically responding to their needs, interests, desires, vulnerabilities, hopes and unique perspectives. Pointing out that we are already entangled in complex and life-altering relationships with other animals, Gruen guides readers through a new way of thinking about and practicing animal ethics.